Several aspects of diversity impact career transitions and trajectories. Whereas traditional conceptualizations of careers emphasize a clear path for the majority of people, modern careers are better characterized by a multitude and variety of potential mobility paths. Modern career trajectories have been linked to early developmental activities, which are similarly related to increased diversity and societal changes. This chapter discusses the impact of different forms of diversity on career transitions from lifespan and life course perspectives, as well from a dynamic perspective where one's career transitions are dictated by lesser-planned socio-contextual and personal circumstances. Special attention is given to contemporary research and unique issues related to women and older workers. Within this discussion is a review of work arrangements for adapting and capitalizing on the needs of this changing workforce. We conclude by outlining trends likely to influence career development in the future, including suggestions for future research. The definition of career and the nature of career transitions are constantly in flux. A recent statement by the Bureau of Labor Statistics (BLS, 2014) highlights this: “The BLS never has attempted to estimate the number of times people change careers in the course of their working lives. The reason we have not produced such estimates is that no consensus has emerged on what constitutes a career change” (FAQ about National Longitudinal Surveys, para. 23). Seemingly gone are the days when one began working for and then retired from the same company with a pension in hand. Those entering the workforce today can expect to experience multiple changes in their work lifetimes -- not just job changes, but career changes. College students do not expect to stay in a career tied specifically to their chosen major in college. They do not expect to stay with their first job for more than two years. They do expect that they will take a break from work at some point, maybe to pursue other interests or maybe to raise a family, or both. They do expect to work, in some capacity, well beyond the typical retirement age. A close examination of the changes that have taken place within the make-up of the workforce illustrates the reason for the above shifts in career expectations. To outline the importance of recent and future societal changes on career development and career transitions. To discuss the differences in traditional vs. modern career stage theories and perspectives. To cite specific demographic changes in today’s workforce, which exemplify how career trajectories have changed in recent years. 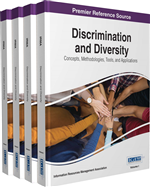 To explore unique career issues of women and older workers, along with some organizational work arrangements that attempt to address a number of these issues. To provide guidance to individuals exploring personal career transitions. To provide guidance to organizations in their talent development programs, discouraging the “one-size-fits-all approach” to career development. To discuss future trends in personal career development and organizational talent management with regards to changes in the diversity of the workforce.